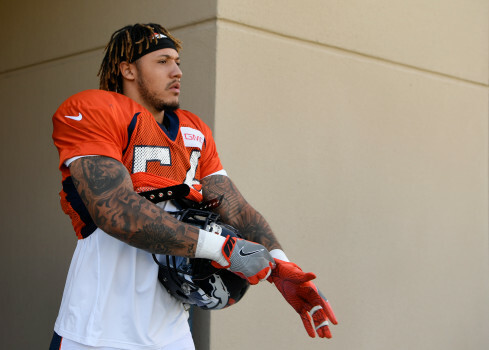 Broncos’ outside linebacker Shane Ray could be facing another surgery on his troublesome left wrist, sources told Mike Klis of 9NEWS in Denver. Ray is getting a second opinion but as of now, it appears he’s headed for surgery. If he doesn’t undergo the procedure, Ray would not be expected to miss the season, although it could jeopardize the start. He first injured the wrist on the first day of training camp last season. He underwent multiple surgeries, then missed the first six games of last season. A first-round talent who had 8.0 sacks in a part-time role in 2016, Ray had just 1.0 sack in eight games last season before the Broncos shut him down the final two games. Ray, who just turned 25, seemed healthy during the Broncos’ offseason program until this week, when he sat out the Organized Team Activity (OTA) practice while wearing a splint around his left wrist.